Like most of this collection, the Testament of Gad begins with an expansion of the Joseph story. Although there is virtually nothing about Gad known from the Hebrew Bible other than a notice he was Bilhah’s son (Gen 30:11). 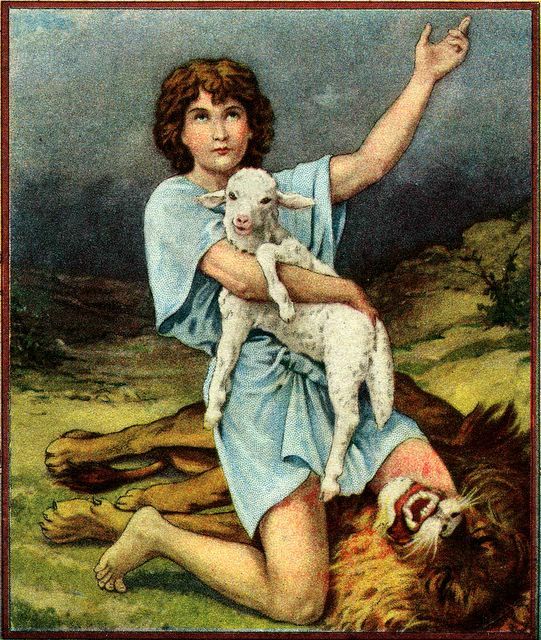 Although his name means “good fortune,” he describes himself as a brave warrior who was able to pursue and crush any wild animal (1:3), perhaps an allusion to David as a shepherd who killed a lion and a bear. The content of the Testament does not focus on bravery, but rather hatred. The young Joseph tells his father the sons of Bilhah and Zilpah are eating the best animals from the flock against the advice of Judah and Reuben. Gad claims the animal he ate had been rescued from a bear, and as going to die anyway. He held a grudge against Joseph for this and wanted to kill him (chapter 2). God punished Gad for his hatred and he developed a disease of his liver because of his hatred and might have died if Jacob had not prayed for him (5:9-11). Gad uses this to teach his children to show justice and mercy to all and never to hate (chapters 2-3). Hatred is the real evil since it makes man a slave (4:4). Hatred collaborates with envy, causing a man to desire to kill (4:5-6). Testament of Gad 5:1-2 Hatred is evil, since it continually consorts with lying, speaking against the truth; it makes small things big, turns light into darkness, says that the sweet is bitter, teaches slander, conflict, violence, and all manner of greed; it fills the heart with diabolical venom. 2 I tell you this, my children, from experience, so that you might escape hatred and cling to love of the Lord. Hatred, Gad says, teaches all manner of sin (5:1). The antidote for hatred is love (chapter 6). One must love in “deed, word, and inward thought” (6:1). This idea of sincerity of love is similar to Romans 12:9. This parallel is made even more clear with a condemnation of vengeance (6:6-7, 7:1-7, cf. Rom. 12:17-21). One is to pray for the one that prospers more (7:1), even if that prosperity comes via an evil scheme (7:4). Gad alludes to Esau as an example of this, although it is not clear from Genesis that Esau became wealthy by “being evil.” Since Jacob did scheme and manipulate in order to become wealthy, this is an example of a scriptural expansion which glorifies the patriarch of Israel (Jacob) while vilifying the outsider (Esau). There is no mini-apocalypse in this testament, only a brief line in 8:1 which commands the children to honor Judah and Levi since through God will “raise up a savior” (cf. T.Naph 8:2).